We first met Tanis Frame (aka Mamamaven) over coffee in the Gumboot Cafe on British Columbia's gorgeous Sunshine Coast. We were so impressed with her knowledge and easy-going, informative style we decided there and then we wanted to work with her, we just didn't know when. Happily, we do now. 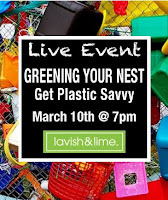 We're thrilled to host Greening your Nest: Get Plastic Savvy at our warehouse shop in North Vancouver on March 10th. 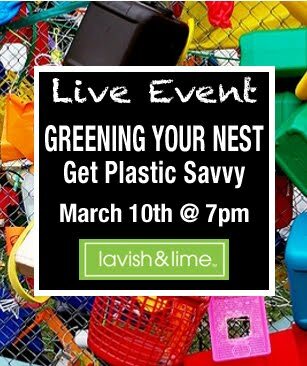 It will be a fab, fun, informative hour with Mamamaven as the featured guest speaker, a FREE eco gift for everyone who attends plus door prizes and discount shopping! If you care at all about creating a healthy and safe home for you and your family, you won't want to miss this event! Learn about the research and hype surrounding plastics and find out easy steps you can take to reduce harmful exposure to plastics in your home. You'll leave with an action plan and the information you need to navigate your world of plastics and make smart choices for you and your family. You'll no longer feel bewildered nor overwhelmed with plastics and what to do about them. 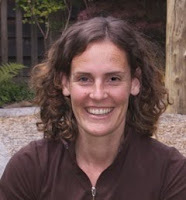 Tanis Frame, founder of MamaMaven, has a background in facilitation, research, toxicology and children’s environmental health. She is a popular guest speaker and runs fun and informative workshops designed to help you navigate the information overload on healthy topics. Tanis has a reputation for removing any guilt or pressure in her presentations and makes the information easy to understand. She immediately puts you at easy with her fun, easy-going personality and trust us, you'll definitely leave feeling you've learned something. If possible, we'd appreciate RSVP's (just so we have enough chairs!) to customerservice@lavishandlime.com or give us a quick call 778-340-5463. We're happy to answer any questions you might have too! For hundreds of green living ideas - everyday eco finds and unusual planet-friendly gifts - visit eco boutique Lavish & Lime.